25 hours to complete - 2.5 CEU Credits. What do you really see in these graphic examples? Are you ready for e-LIVE interpretive training? JVA is pleased to announce the development of the fifth of several e-Live interpretive training courses offered by John Veverka. This is a University level introductory course on the planning, development and design of Interpretive Marketing Brochures for heritage interpretive sites and related attractions, for any individual finding themselves working for interpretive organizations or commercial heritage attractions, but having had no formal training in Heritage Interpretation Marketing. . This is the basic introductory course in planning/designing and distribution of marketing brochures for your organization. tracking, design and development of interpretive site marketing materials/brochures. to their interpretive philosophical framework and technical skills. 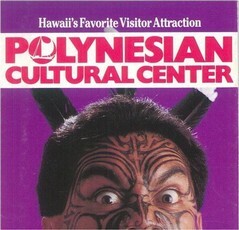 the design and distribution of interpretive site/facility marketing brochures. - If your visitor numbers are continuing to increase - probably not. - If your visitor numbers are frozen - stuck in neutral - probably yes. - If your visitors numbers are going down over the past few years - definitely yes. - If your market groups are collapsing to just one or two - then probably yes. - If you lack a "market creation" strategy - then yes. - If your brochure have no pictures of "people" on them - then definitely yes. - If your brochure doesn't highlight your products (of the site visit) then yes. - If your brochure is not "experience" based by market group - then yes. - If your brochure hasn't changed since the dark ages - then really yes. 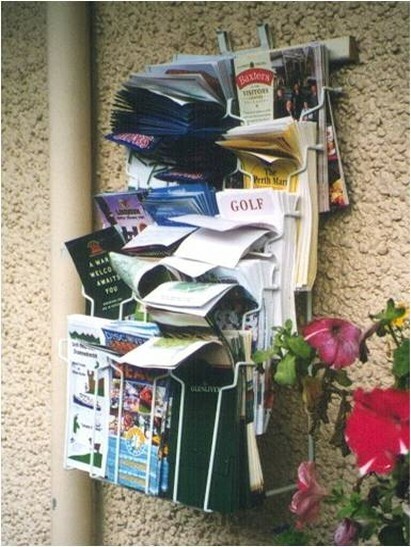 - Do your brochures ends up like this (photo below): really - you still do this??? Why? You need this course! Many of you actually pay for this! Do you have a web site? to conduct a critical analysis of your current main organization/agency marketing brochure (what is good or bad and how to "fix it"), or re-design and develop a new marketing brochure for your site, agency or organization. John will help you all along the way. It may be painful, but the benefits will feel really good. 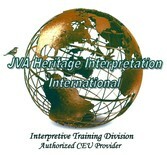 * Training in Heritage Interpretation Marketing. * Training in Heritage Interpretation Visitor Survey Technques. How does e-LIVE work? Our e-LIVE courses are limited to 10 participants at one time, to allow for maximum interaction with the course instructor. Once one participant completes the course another participant can be added. Additionally, you can work on marketing assignment for actual projects you may be working on - museum brochures, marketing materials or other interpretive promotion projects. That is the benefit of e-LIVE - we are flexible in designing the course to meet your real-world needs. The estimated completion time of the course is 25 hours - and you can work at your own pace. Unit One: What is Marketing Anyway? Unit Two: Where is your visitor in all of this? - do you know? Unit Three: What should be in a Marketing Plan for Heritage Attractions? Unit Five: The Experience Economy - are your aware of it? Let's use it please! do you know if it is an effective tool or not? Unit Seven: The Brochure interpretive planning process. Five benefits your visitors will receive in return for their visit with you. Unit Eight: What are your marketable "products" i.e. what do your visitors get in return for paying for their visit with you? What products or experiences am I selling? Unit Nine: Who are your market groups and what examples/activities, experiences and photos will best relate to them personally? Unit Ten: Market creation - generating new market groups. Unit twelve: Interpretive Writing (provoke, relate and reveal). 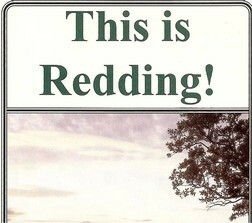 Unit Thirteen: Re-thinking your organization marketing Brochure - Your Critical Analysis. Unit Fourteen: General Leaflet/brochure Layout Assessment Checklist - Putting it all together. Unit Fifteen: Evaluation and pre-testing: Don't even think of not pre-testing your marketing materials! Ways to find out if your marketing brochure is working. Ready for Change? This Course is now ready to "go live" . You'll be able to register for (and pay for) the course below via credit card or Pay Pal. You can also pay by check. 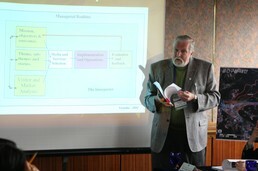 Cost for the 25 hours training with live interaction with the instructor is $250.00 USD. If you're interested in this course and would like to enroll in it - send an e-mail to John at: jvainterp@aol.com for a registration form to fill out and return. Then you can pay for the course below. Just click on the "BUY NOW" icon.